This lovely four bedroom, three bathroom home on a fabulous half acre site overlooking Carbone Park and Lee Gulch is being offered for sale for the first time in almost thirty years. Highlighted by the beautifully remodeled kitchen with adjacent family room, and a wonderful south facing sun room, this home is both inviting and welcoming. Special features include a Pyrolave lavastone surfaced kitchen island, a Thermador 5-burner gas cooktop, KitchenAid double ovens and dishwasher, quarry tile and maple hardwood flooring, new plush carpet in the living rom and dining area, a swamp cooler and a flagstone patio...plus, only a short distance out your back door is the newly rebuilt Damon Runyon Elementary School, and Heritage High School is just a block away from your front door. 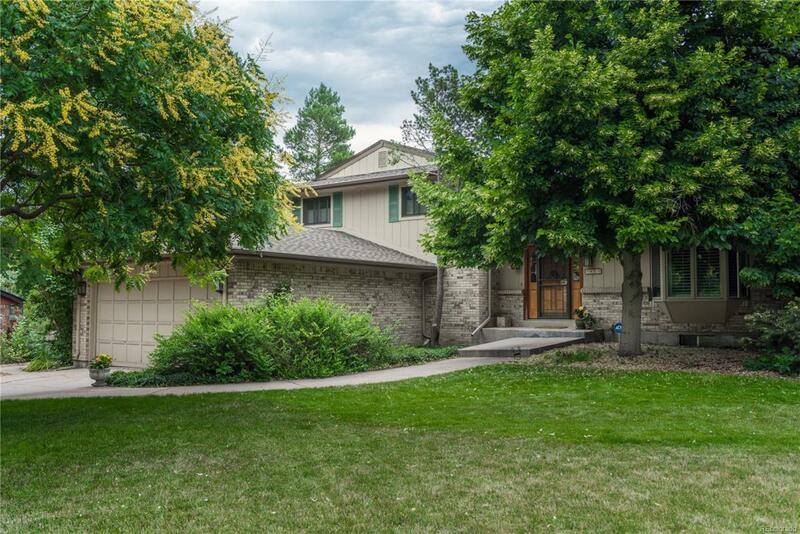 Located in a terrific neighborhood that is convenient to downtown Littleton and all the shops along South Broadway, you will feel like you are on an island, surrounded by open space.